I cannot believe I haven't shared this upcoming class yet! Time goes soooo fast! This Tuesday, September 25th we're making these striking cards using my exclusive 5 sheet wonder templates and the Tropical Chic bundle; seen here. These templates make it super simple to create cards! There's no measuring AT ALL! Simply print the templates onto your 5 sheets of card stock and cut on the dotted lines and use the reverse side. You'll stamp the white card stock with whatever stamp set and inks you choose. The sky is the limit on the types & colors of cards you can create! Each template includes pre-measured pieces with corresponding numbers on them. So once they're cut you layer the pieces for each card in piles. Then add full card bases and assemble! That's it! Well there is one more step; adding the greetings and embellishments.... But that's the fun part! If you live near me in Minot, ND I hope you can attend this class. You'll love it! RSVP by Monday, September 24th. It's $20 and includes the full tutorial & templates. If you cannot be here but still want the templates and full tutorial click here at my Tutorial Shop to purchase it. It is automatically emailed to you upon payment. the new Swirls & Curls embossing folder FREE with your thank you card! Be sure to check out the new Clearance Rack items!! Road Trip! Our huge stamping sale is coming! Each year my gals and I hold a huge paper crafting rummage sale that is so incredible people schedule their vacations around it! Some even travel for miles to be here. I thought I'd give some of you a heads up so you can try to be here. The deals are absolutely amazing! Stamp sets are priced from $2-8 on average and framelits are about $8-10. This year our sale is on June 22nd & 23rd at my home in Minot, ND. If you live in Minnesota, South Dakota, Montana or in Saskatchewan, Canada I hope you consider gathering a group of stampers or scrapbookers and taking a Road Trip!! Email me for details if you plan to attend. Current customers get to shop Friday night; others Saturday. Over 35 of my customers are selling their extras to make room for new products. 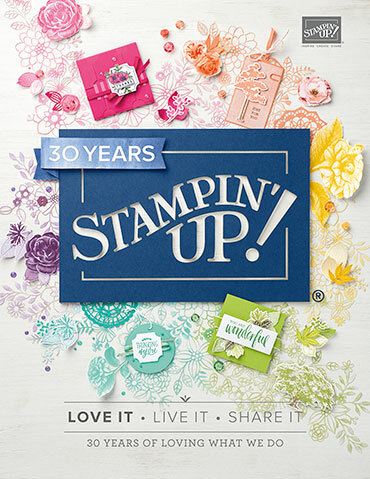 The majority is Stampin' Up! product. Here are a few photos of past years' sale. Yes; it's all paper crafting and besides filling up my entire double garage we fill up the driveway too! Every year I am asked if I can look for certain items or if I will sell online. I'm sorry but I cannot do that as I just don't have time to find, sort and ship. I've put together a great variety of cards for this month's card class. We'll make two of each card for a total of 8 cards. You'll have a nice supply of beautiful cards for almost any occasion! And if you cannot make it to class you can get the pre-cut kit to go! These pretty cards are made with the Floral Statements stamp set, Bubbles & Fizz designer paper, Celebrate You Thinlits, good old Lovely as a Tree and Waterfront stamp sets. My local class is on Thursday, March 22nd. The class is free with an order over $30 or choose to pay the $15 class fee. RSVP by March 19th. Bring your own adhesive. RSVP (or order) by March 19th. Everything you see is included including die-cuts, ribbons and pre-cut and textured pieces. I'll email you the step by step directions with photos and measurements. I am unable to send stamped images. So you would use stamps you own to finish the cards. It's free with a $35 minimum order using this hostess code: QCA7TW3B. Or choose to pay $25 below, which including shipping. 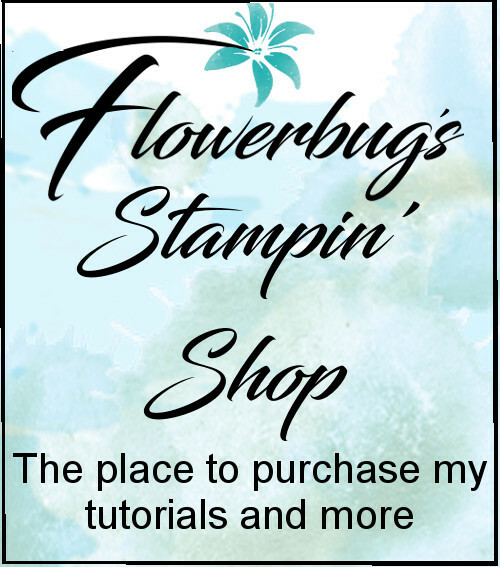 I'm super excited about offering my very first Stampin' Up! retreat event! I've wanted to do one for years and finally set a date to make it happen. Join us to craft and be pampered at our all day retreat in Minot, ND. It's on Saturday, March 24th from 9-8 pm. You'll make two sets of cards (and optional scrapbook pages if desired). You'll receive a swag bag, light breakfast, lunch, dessert, dinner and your Make & Takes too! You'll also enjoy frequent surprises and door prizes throughout the day. Your swag bag includes $25 in awesome products. Bring a few things to work on or use our displays, idea boards and our huge stash of stamps, inks, punches and more to create during the day. Bingo will be optional. We'll be playing multiple games, costs $25 and includes amazing Stampin' Up! prizes valued from $18-60! The Retreat cost is $55 or $67 for the optional scrapbook pages. It's a great value for a get away for the day!! Space is limited. RSVP with payment by March 12th. This Saturday I have a Fall Stamp Camp class. We're making projects for both Halloween and Fall at class. Aren't they great? I sure love each and every one of these projects! The Treat Tube box and Halloween box card was inspired by my friend Susie Wood. She shared her templates with me and I'll share them with you soon too! That Fresh Fig and Old Olive note card pouch on the right is inspired by a swap I received in Thailand. It may look like a card but it actually a big piece of designer paper folded into a pouch that stores our note cards! It's so cool! I'll be sharing a video on how I made that soon too. The sunflower treat pouch was found on Pinterest by my downline Mary. We are hosting this class together at the church this Saturday. RSVP for this class by Wednesday at noon. Class fee of $12.